If you’re looking for a way to lose weight that doesn’t involve diet or exercise, you’ll find plenty of information on the internet about massage. Many websites recommend abdominal massage and other forms of massage therapy as effective weight loss methods. But before you call your local massage therapist to set up an appointment, you should find out what massage can and cannot do if you are trying to lose weight. Massage therapy can work wonders for people who are trying to lose weight. But massage treatment alone doesn’t make weight loss occur. So if you are hoping that a massage will reduce your cellulite, decrease your belly fat or shrink your thighs, you’re likely to be disappointed. "Massage is also a wonderful healthy way to reward yourself for all of the hard work you are doing!” says Bethany O'Shei of Clay Health Club + Spa in New York City. Bethany has been a licensed massage therapist for eight years and says she works with many clients who use massage along with a comprehensive program of diet and exercise to lose weight. “Massage helps release endorphins in the body that give us that euphoric happy feeling,” she says. “And by doing healthy things for our body we build a better relationship with ourselves and treat our bodies with the respect we deserve. What Kind of Massage Is Best for Weight Loss? If you are new to the treatment, you'll learn that there are many different types of massage from which to choose. For example, Swedish massage is popular for its stress relief benefits. Deep tissue massage is helpful for people who exercise and are prone to sore muscles. 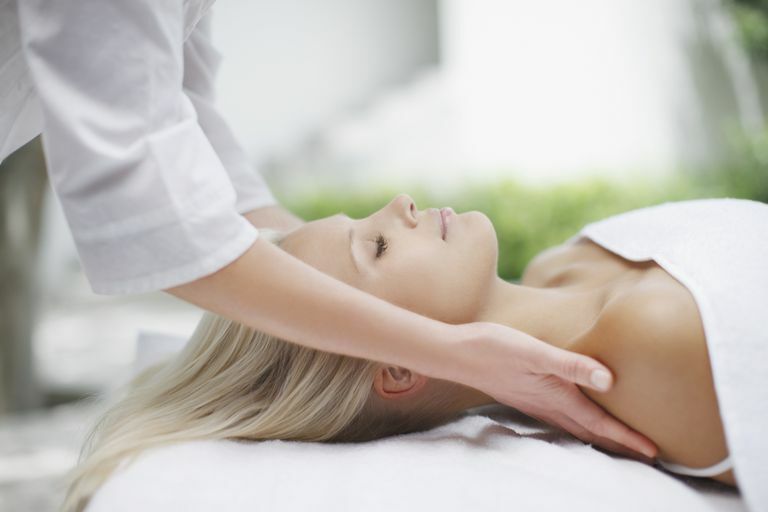 Shiatsu massage is a technique where the therapist uses localized pressure to provide relief. So which type of massage is best for weight loss? Lynda Solien-Wolfe is the Vice President of Massage & Spa Performance Health and the Massage Makes Me Happy Initiative Chair. She says that Swedish massage is helpful for most. "I would recommend a Swedish Massage with at least moderate pressure, especially if you’re a first timer. I suggest it because it’s great for circulation, loosening muscles, touches a variety of problem areas and improves your overall sense of well-being. Another suggestion is to practice self-massage, on problem areas, at home with cream because it helps tone muscles and keeps circulation going between massages and workouts." She adds that finding a qualified massage therapist and clear communication is also important to ensure that you are comfortable during your service. "It’s always a good idea to have a consultation with your massage therapist before your first treatment. People come in all shapes and sizes and your massage therapist, just like any other healthcare professional, understands this and their main concern is improving your health during your treatment." Should I Get a Massage to Lose Weight? Massage can be a helpful part of your complete weight loss program. But it’s important to keep your expectations in check. Focus on eating a healthy, calorie-controlled diet and getting enough physical activity each day. Then find a licensed massage therapist in your area who can help you to keep your body feeling strong, flexible and relaxed.